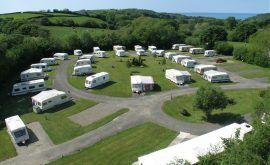 A warm welcome awaits you at Llanina Caravan Park, a small family run site in the heart of Cardigan Bay. 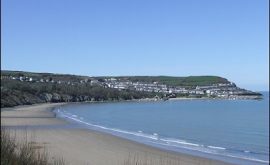 The Park is ideally situated in Llanarth only a couple of miles from the colourful seaside town of New Quay or ‘Cei Newydd’ in Welsh. We offer hard standing or grass pitches with electric hook up for touring caravans, motor homes and trailer tents. 4 miles away is the beautiful Georgian town of Aberaeron. A charming seaside town rich in history, follow the trail around the town - head to the tourist information centre to find out more! 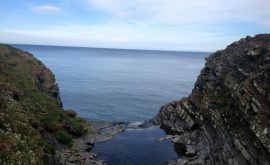 With plenty of tea rooms/cafes and restaurants and bars there are plenty of places to stop for refreshments. A must is a stop at The Hive for its famous honey ice cream! Take a look at www.aberaeron.info for a guide to ‘what’s on’ during your trip to West Wales. 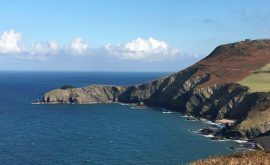 Up the coast road some 20 miles is the University town of Aberystwyth, with its long promenade and working funicular railway up Constitution Hill at the end there is plenty to do and see.